Bluff City Coffee pastry chef Jason Doty makes some of the best brownies in Memphis, and he was kind enough to share his recipe with me so that I could share it with you so that we all could eat these delicious brownies whenever our hearts desire. Step 2: Mix all of the dry ingredients together in a big bowl. Use a bigger bowl than you think you'll need – you'll be adding more to this bowl later. I went with the biggest bowl in my kitchen. Step 3. 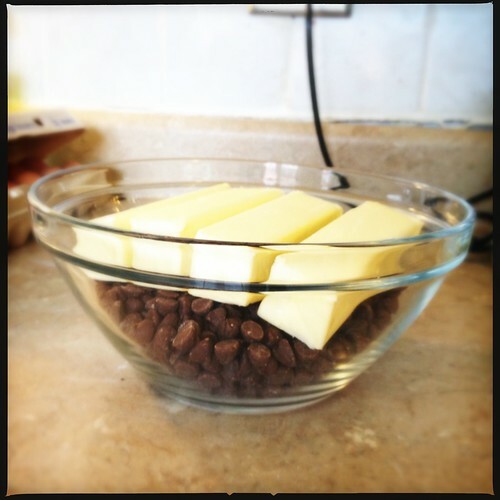 Put the chocolate chips and butter into a microwave safe bowl and heat until melted (3-4 minutes). 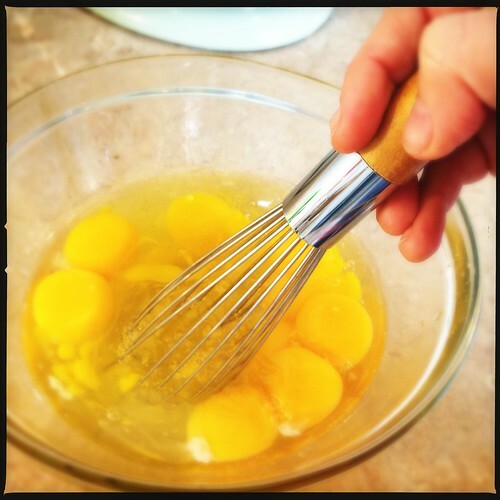 Step 4: In another bowl, whisk the eggs and vanilla together. 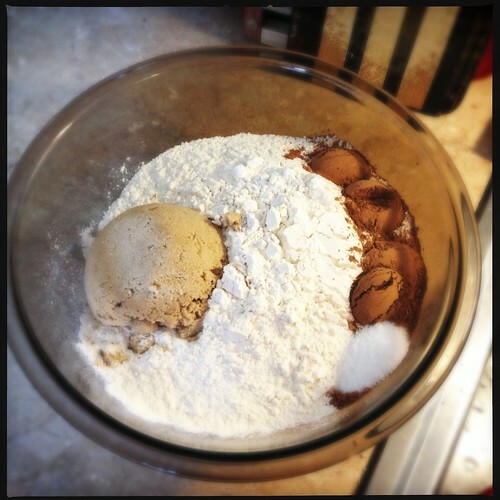 Again, this needs to be kind of a big bowl, because you'll be pouring the chocolate and butter mixture into it later. 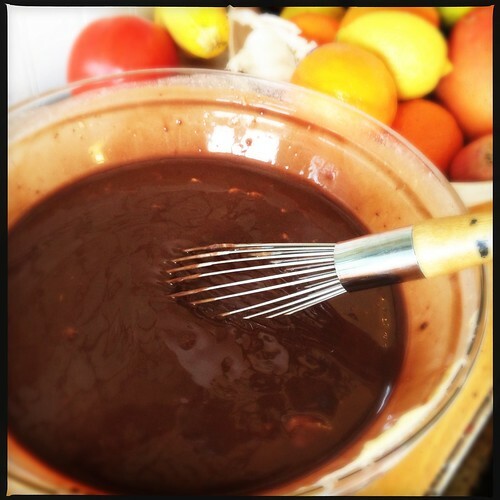 Step 5: With a whisk, slowly temper the melted chocolate and butter mixture into the eggs until well combined. This means that you very slowly (so as not to cook the eggs) add the chocolate into the eggs, bit by bit. I found it easiest to have someone else whisk while I added, but that's mostly because my bowls are super heavy. Step 6: With a rubber spatula, fold the chocolate and egg mixture into the dry ingredients. Step 7: Grease two 9×9 baking pans and pour the batter in, using about half (3 pounds) in each pan. The pans I used weren't 9×9, and they came out fine. Personally, I like my Baker's Edge pan the best – it makes every brownie an edge piece and everyone knows that the edge pieces are the best. Step 8: Bake on the middle rack of a 350 degree oven for 40-45 minutes. Step 9: Let them cool, then go crazy on them. If you're not feeling industrious, you can sample Jason's brownies (and his other baked delights) at Bluff City Coffee on South Main St.
mmm…gonna try this with my gluten-free flour mix and see how it is. With all that butter & eggs, they should come out lovely. Thanks for sharing and I like the fact that you put deviders to give an edge to almost every Brownie. I'm really late to this party (i made the jump from the bourbon pecan pie post), but can I just say how awesome it is that the chef is using mostly grocery store brand ingredients! As one on a fixed budget, I love trying new receipes but don't always have the funds for some of the pricey ingredients some recipes call for. Good deal Chef. Good deal.